THE WORLD IS MOVING TOWARD PEACE! WILL AMERICANS JOIN IN? Americans, we need to be very careful in choosing the political leaders we support. 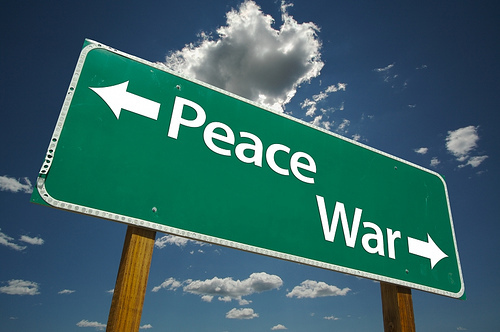 The world is moving toward peace, while we have many in the US Congress who are pushing for World War III. For decades, the US’s excuse for going to war has repeatedly been “to protect our interests. Many Americans have blindly assumed that the word our includes them and somehow it is a good thing, even when countries are devastated and millions are killed. Most of us have grown up in a culture that accepts war and violence as the way life is. American TV and Entertainment establishments constantly portray violence as a part of life. Many have become so accustomed to violence that if the movie or TV program is not an “action” one, it is boring. However, our world is changing! Countries across Planet Earth are leaving behind the violence and uniting behind the BRICS ALLIANCE and its plans for establishing a Win-Win Alliance for all nations. I seriously doubt the majority of Americans have ever heard or seen the name BRICS ALLIANCE. Instead, the Western Mainstream Media screams non-stop “fear the terrorists who are willing to attack any country at any time.” Americans are taught: There are enemies out there and we must constantly be ready to fight and win a war. We have been brain-washed into believing: “As long as the new rules/laws “protect me,” I can live with them. In other words, we accept violence, terrorists attacks, and war as a part of life. Americans have become fearful, mind-controlled, debt slaves in order to pay for the instigated wars the threats of terrorists, bribed by the criminal cabal, force us to fight in order to protect our country and families. Meanwhile, a majority of nations on our planet have indicated the desire, if not already taken definitive steps, to join the BRICS ALLIANCE in its efforts to create a peaceful, Win-Win world. Filed under: BRICS ALLIANCE, Peace, War |	Comments Off on THE WORLD IS MOVING TOWARD PEACE! WILL AMERICANS JOIN IN?